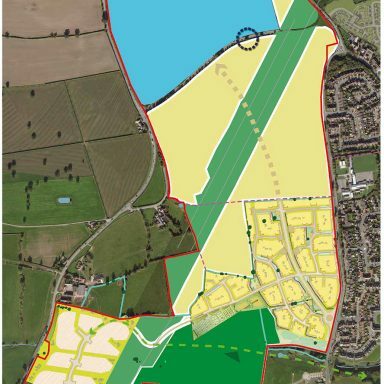 As a key element in promoting this 40ha site for residential and commercial development, RoC Consulting was retained to undertake a contaminated land assessment and flood risk assessment of the site to support an outline planning application. The subject site, located on the outskirts of Crewe, East Cheshire, comprised of open farmland and the former Pyms Lane domestic wastefill facility. 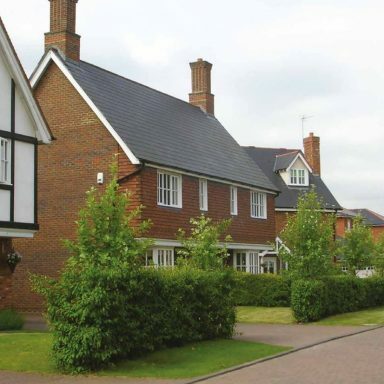 The masterplan for the site showed the residential development in close proximity to Pyms Lane. 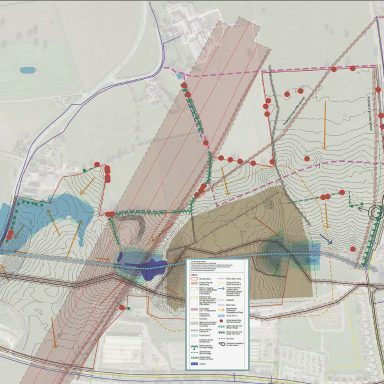 A critical feature of our investigation was ground gas monitoring, and of particular importance was the delineation of the extent of ground gas migration from the landfill. 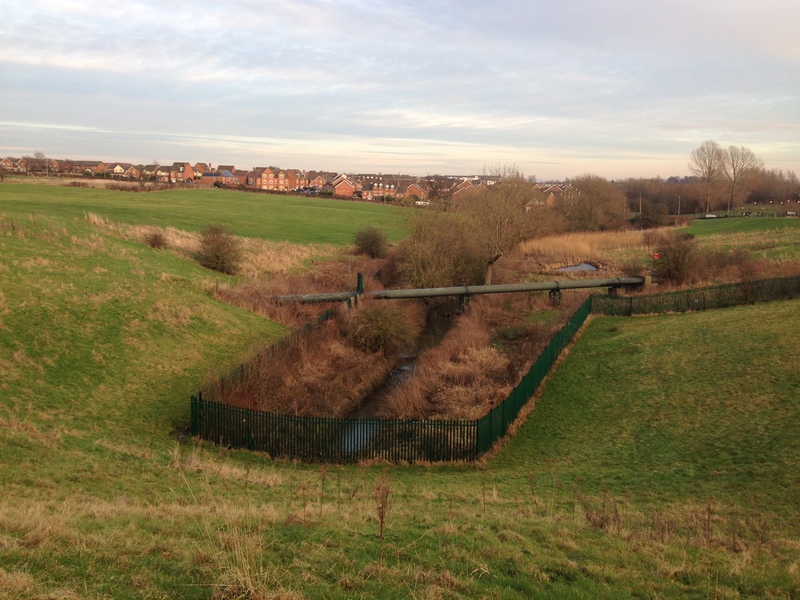 A plan of investigation was developed to address this aspect of site redevelopment, and we utilised trial trenching to determine the true edge of the landfill and an array of boreholes and gas monitoring standpipes, so that the gas migration profile could be determined. 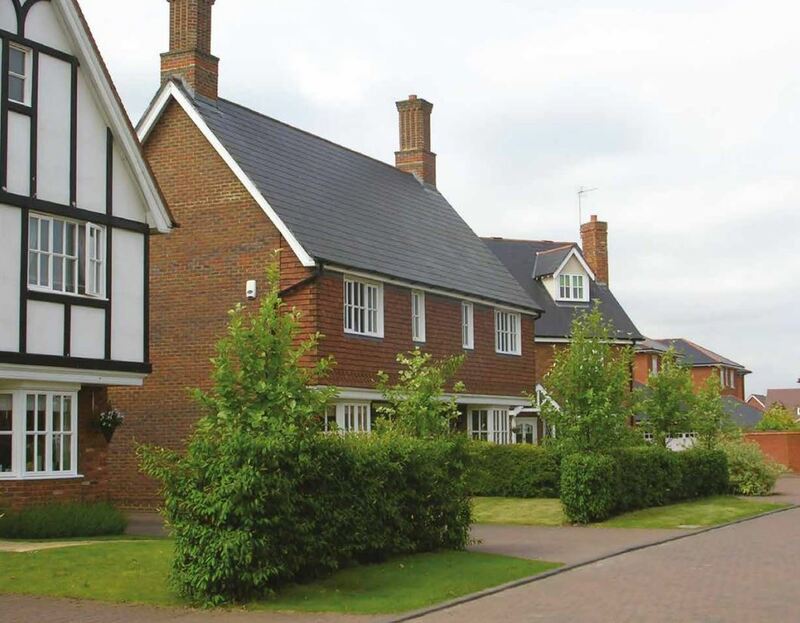 The investigation mapped the ground gas migration extents utilising GPS surveying of the monitoring points and this survey was overlain on the masterplan, we were therefore able to determine the zone and specification of gas protection measures required. 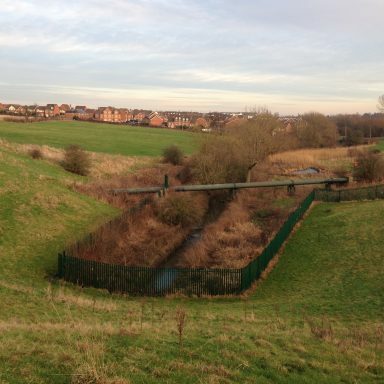 As the site was classified as “greenfield” by the lead authority, Cheshire East Council, restrictive surface water discharge rates were applied with respect to outfall into the watercourse which crosses the site. This ordinarily would have resulted in significant attenuation volumes being provided within the site boundary. 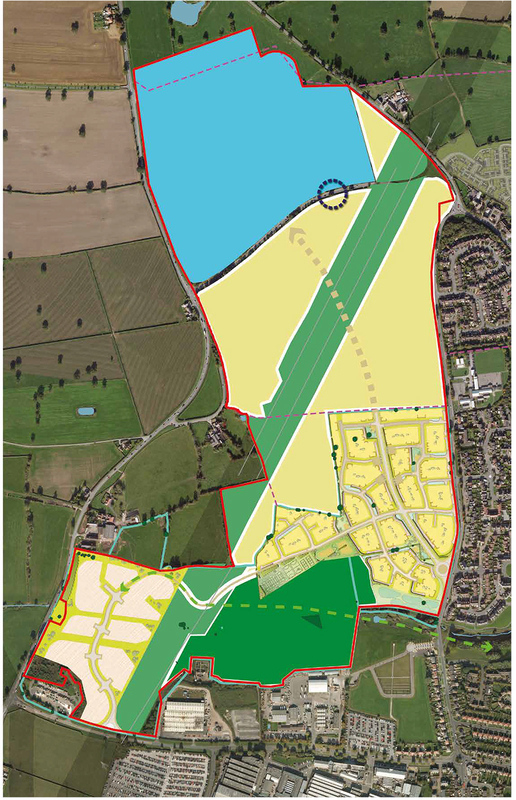 RoC Consulting devised a surface water strategy utilising a SUDS solution, coordinated with the master planning team and the required volume of attenuation was accommodated in onsite retention ponds. However, the challenge was to provide attenuation through onsite ponds whilst not falling foul of the Reservoirs Act. We therefore designed a network of sub-structures, linked with more traditional oversized pipes and geo-tanks. 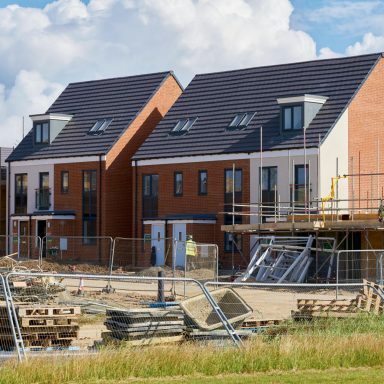 The design also had to address the presence of soil contamination derived from the former landfill and mobilisation of contamination into the watercourse. The brief required to accommodate outflows from a further adjoining potential development site to the north of the subject site, which would otherwise be “landlocked” from a servicing perspective. 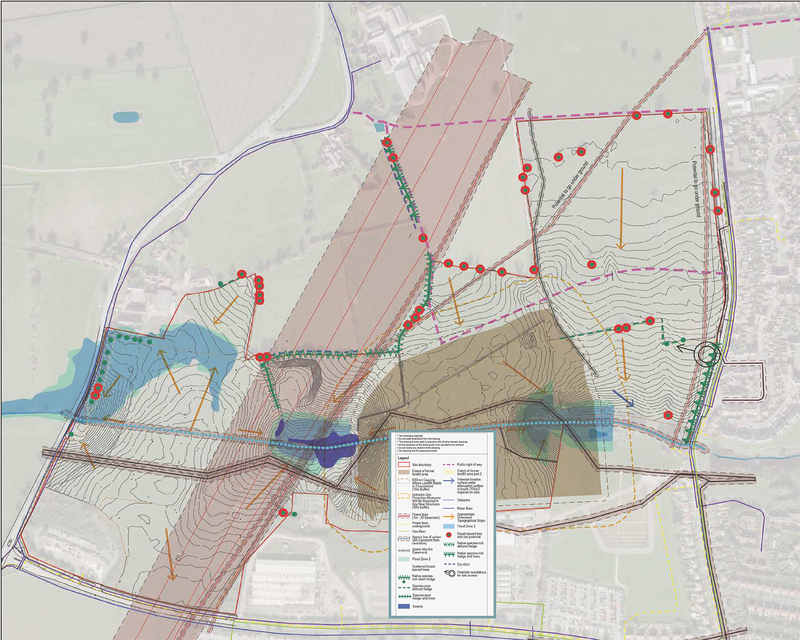 Delineation of gas migration helped identify and mitigate the extent of abnormal site development costs with regard to gas protection measures. 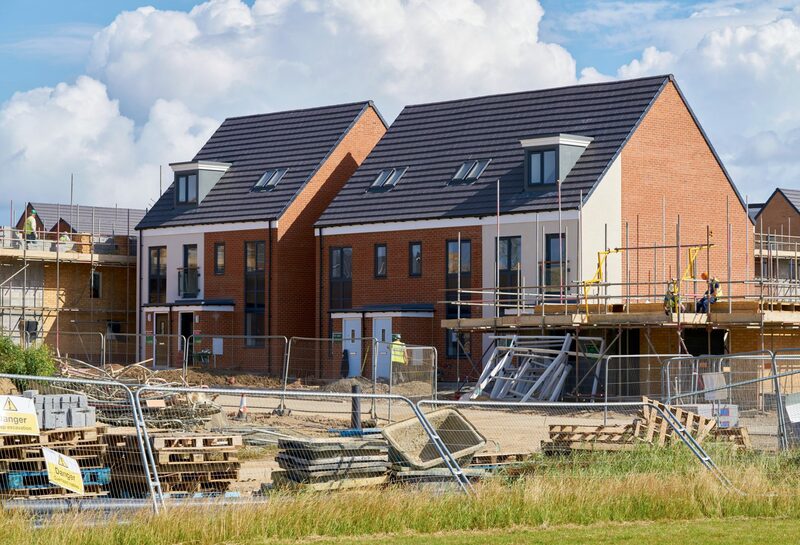 The refined drainage strategy utilised a hybrid solution by integrating SUDS drainage, and conventional attenuation with the landscaping scheme, thereby reducing below ground attenuation volumes, consistent with achieving the required discharge rate by Cheshire East Drainage Authority.